You would have been asked in interviews how to merge two sorted arrays in O(n) time complexity. It’s quite simple if you know Merge Sort. Merge Sort works on divide and conquer technique, Merge Sort divides array in smallest chunks and starts merging them. While merging, it takes one element from each of the array, compare it and place smaller one on output array. You can read about merge sort here. 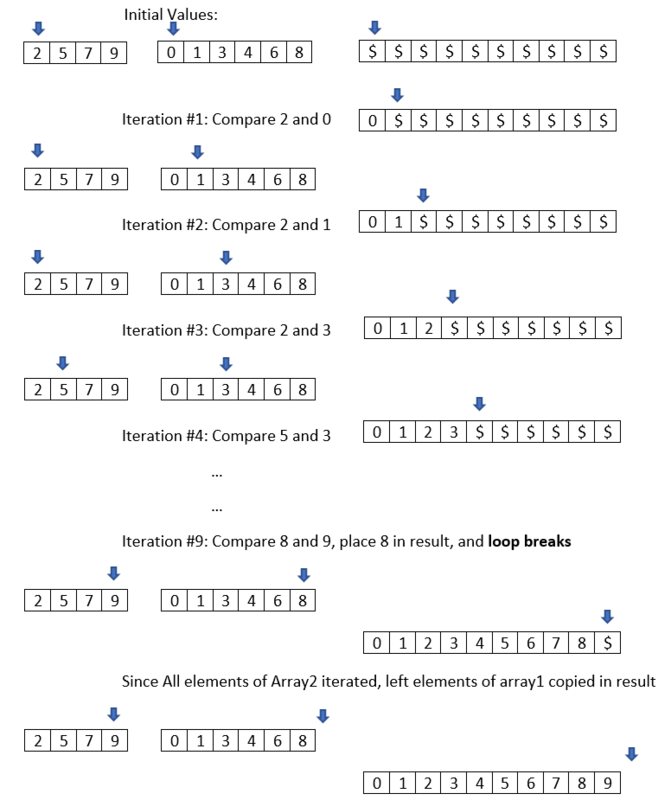 In above code we have iterated all elements of array1 and array2 once, so iterations would be (i + j). Complexity will be O(i + j) which is linear time, simply we can call it O(n) where n = (length of array1 + length of array2) or (i + j).